Born and raised in a Kabul streaked with violence and corruption, Omaid Sharifi decided to win his city back: armed only with a paintbrush. The emergence of blast walls – erected all across town to shield official buildings from explosions – provided the perfect canvas. “We wanted to bring down the big, ugly walls which made Kabul look like a prison.” In doing so, Omaid co-founded and launched Artlords, an increasingly popular art movement for social change which has since garnered worldwide attention. Since its recent creation in 2014, Artlords has strived to ‘give a voice to the voiceless,’ by painting messages of anti-corruption and hope on these blast walls. 150 murals have already been painted around Kabul, with plans for more. Alongside its core team of 25 staff members and 10 volunteers, Artlords prides itself on its inclusive nature and encourages ordinary citizens and passers-by to contribute to the murals. In doing so, the organization hopes to empower local communities and create a grass-roots movement for social change. Omaid explains how this participatory approach not only promotes critical thinking while harnessing a sense of community, but also shows the people’s appreciation for the work of Artlords. Indeed, in the space of a year, Artlords has decorated Kabul with murals on walls of various organizations and has worked with artists abroad, including in Germany, Pakistan, United States and India. Through his involvement in 2016 as a co-facilitator for Equitas’ International Human Rights Training Program (IHRTP) in Montreal, Omaid says he has had numerous participants from all over the world reach out to him on how to use art in their own countries. Human rights defenders from countries including Haiti and Nigeria, two countries plagued with corruption, have displayed an interest in using public art to promote human rights messages. Given its already impressive reach and popularity, Omaid says they have envisioned a 10-year plan for Artlords. Within the next 10 years, they would like to see Artlords become the “grassroots citizen movement for transparency and accountability in Afghanistan,” hoping that the movement will become “powerful enough to hold officials, civil society and the private sector responsible and answer to the demands of the citizens.” Furthermore, Omaid hopes to be able to extend the reach and ideas of Artlords into other countries in the Middle East, in a bid to tackle radicalization and extremism. Although art is not necessarily seen as the conventional tool for spreading education, Artlords have proven that with determination and creativity, it could rapidly become an efficiently inclusive and emotive platform for peace building. 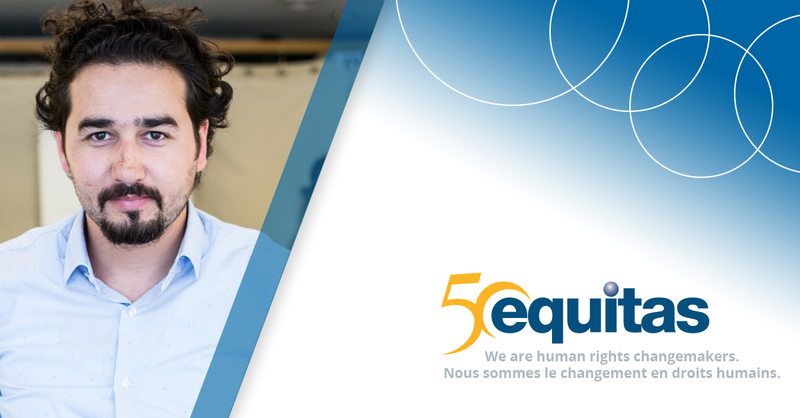 Story prepared by Juliette Deshormes, Intern for Equitas’ International Human Rights Training Program (2016).